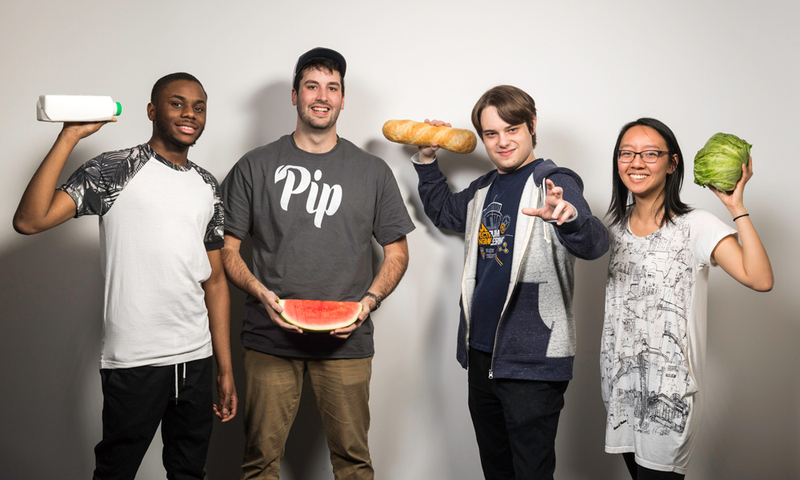 Students design voice-activated app to reduce food waste—Pip, an app developed by a team of graduating seniors in the Digital Media Studies Program, will let users check their fridge or freezer wherever they are using only their voice. For their capstone experience students plan, design, construct, and deliver a digital media object of significant scope. Working as a team, they deploy their collective knowledge, skills, and expertise in the domain of media history, theory, aesthetics, and technology to review customer proposals and/or devise a project of their own design.